This program is a more intensive obedience program. This program is ideal for very busy people, that don’t have as much time to put into training their dog, but still want to enjoy the company of a well behaved pet. It is also ideal for those who want their dog to reach certain performance goals, by giving them the best chance of learning through our experienced hands. Your dog will stay at our small, quiet, family-operated facility for 2 to 3 weeks (depending on age and temperament) of full immersion Obedience Education. This program will be followed by 4 private lessons, where the owner will learn how to manage the leash and the new obedience commands. The dog will work intensively several times a day, plus they’ll have play time and bonding walks with a trainer! The following lessons with the owner will be 50 minutes each, with much freedom of convenience in booking them. Follow-up session must be done in the 2 weeks after pick-up! • Dogs 5 to 7 months, with no aggression problems, please call for additional details. • Dogs 7 months and older, evaluation of dog is required, and price and program will be offered. • ALL DOGS MUST BE UP-DATES WITH VACCINATIONS IN RELATION to AGE! PROOF OF VACCINATION IS REQUIRED UPON REGISTRATION! • KENNEL COUGH VACCINE IS REQUIRED!! 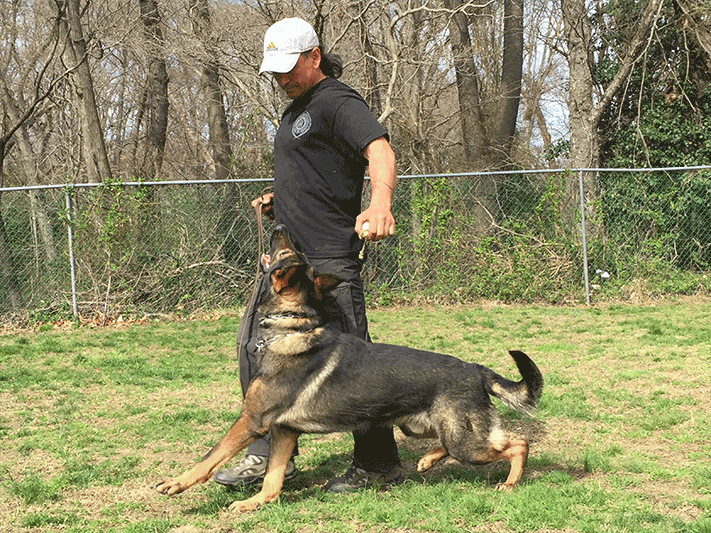 • DOGS DO NOT HAVE TO BE SPAYED OR NEUTERED TO TRAIN WITH US!!!!! • FEMALES IN HEAT ARE ACCEPTED, ONLY IN PRIVATE TRAINING OR CAMPUS/TRAINING. • DOGS MUST BE IN GOOD, HEALTH AND BE TREATED FOR EXTERNAL PARASITES WITH FRONTLINE OR SIMILAR PRODUCT FROM APRIL TO END OF OCTOBER.